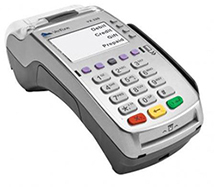 Strategic Merchant Solutions can provide your restaurant with an array of terminal solutions for your specific needs. Weather you own a small diner, a fine dining establishment or a specialty shop we offer processing features for the restaurant industry that will support all major credit and debit cards. The restaurant industry encounters many unique situations that your credit card merchant must effortlessly be able to manage. Strategic Merchant Solutions can provide your establishment with a merchant account that will accommodate many special situations which occur daily within the restaurant industry. Below are some features that our systems will provide.